So you’ve decided to take the plunge and start your cake business but how do you determine which type of business entity is right for you? 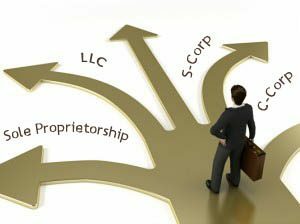 Do you form a corporation or a sole proprietorship? What’s the difference between the two? And what the heck is an S-Corp? Setting up the right business entity is important so taking some time to set things up correctly is vital! Jennifer Luce, owner of Luce and Associates is an experienced tax accountant who can help you navigate the “alphabet soup” and create the right structure to help you achieve your goals and dreams. The article is a quick read and will give you a basic understanding of the various types of business entities to help you set your business up right. While you’re there be sure to signup for their newsletter!